Grape oil is a great moisturising and regenerating oil. It works best for dry, damaged, lustreless hair of high porosity. Women who often bleach, colour-treat their hair or use straightener, will instantly fall in love with this product. One of the most interesting products is natural grape seed oil, enriched with lime extract and few other oils (such as: avocado, macadamia, apricot). 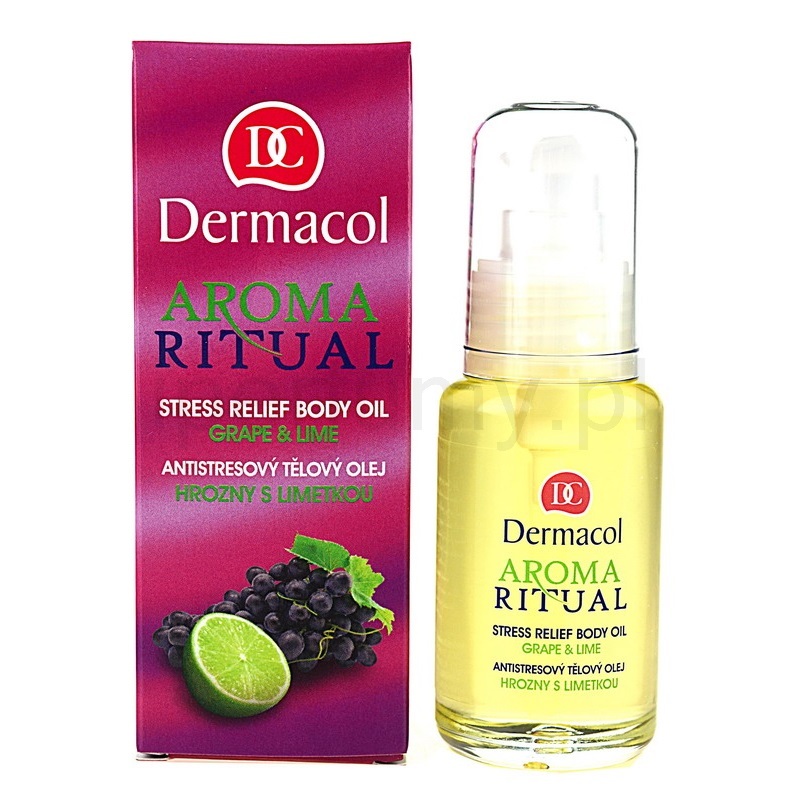 Dermacol Grape and Lime oil comes in a small bottle with the capacity of 50 ml. It is equipped with a pump that facilitates application of the product. It is suitable for day to day hair care. What is more, the cosmetic can be used on damp hair after washing, or dry strands before showering. Dermacol oil will also be useful during daily hair styling, because it makes combing easier and improves the condition of wisps. Therefore, they gain shine and moisture for the entire day. Additionally, your strands will be protected from harmful effects of external factors. Dermacol oil is a perfect product for hair care, nevertheless, it is not recommended for scalp treatment. It contains a number of silicones and fragrances that have comedogenic effects on the skin. The producer ensures that the product can be used on your entire body and for massages. However, it can irritate sensitive skin. Hence, it works best on hair. Thanks to a high content of natural oils, including grape seed oil, your strands will gain proper moisture and shine. Grape seed oil is a light oil, well absorbed and does not weigh hair down. It provides moisturising, regenerating properties and allows to maintain proper level of moisture for a long time. What is more, grape seed oil strengthens hair protective barrier, thanks to which it is not so easily damaged. Microscopic occlusive layer, created on the surface by grape seed oil does not allow any impurities to penetrate to the inner parts of the wisps. In addition, grape seed oil prevents static and makes even dry and frizzy strands become delicate and silky smooth. The effects of grape seed oil are improved by other oils. They are responsible for moisturising, adding shine and smoothing. Moreover, Dermacol oil has a small capacity and because of the fact that it can be used several times a day, it runs out quickly. It will be especially noticeable for the owners of long hair. Several uses of grape oil. Test them all!